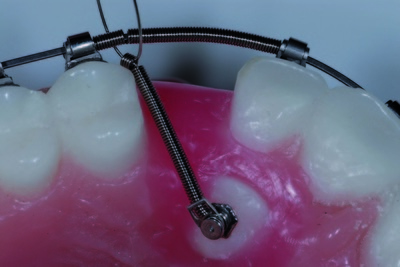 Many different traction appliance options are available for the task of aligning the ectopic or impacted tooth. 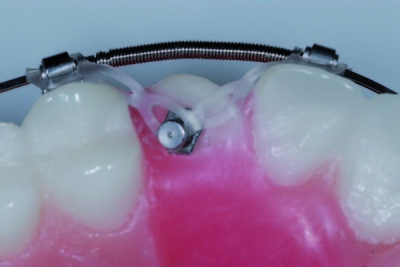 The forces in some of these appliances are generated by elastics. The quality of this elastic material, elastic chains and elastic rubber thread, makes frequent replacement necessary for the purpose of re-activation. Lever designs are highly elastic and supply effective force for a relatively long period of time, but they are easily damaged, rather uncomfortable for patients, and make oral hygiene more difficult. The EASY-WAY-COIL SYSTEM® consists of a stainless steel tension spring which is pivot-mounted to a lingual button with a bonding base. The appliance is activated by systematically shortening the spring. 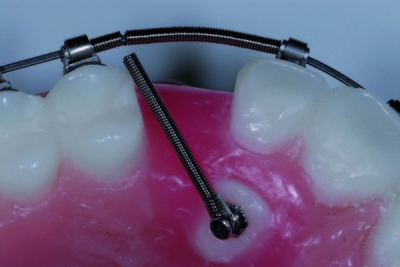 It is reliable and demonstrates a constant application of force throughout the treatment procedure, including stable maximum anchorage. 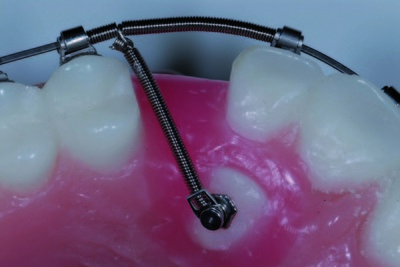 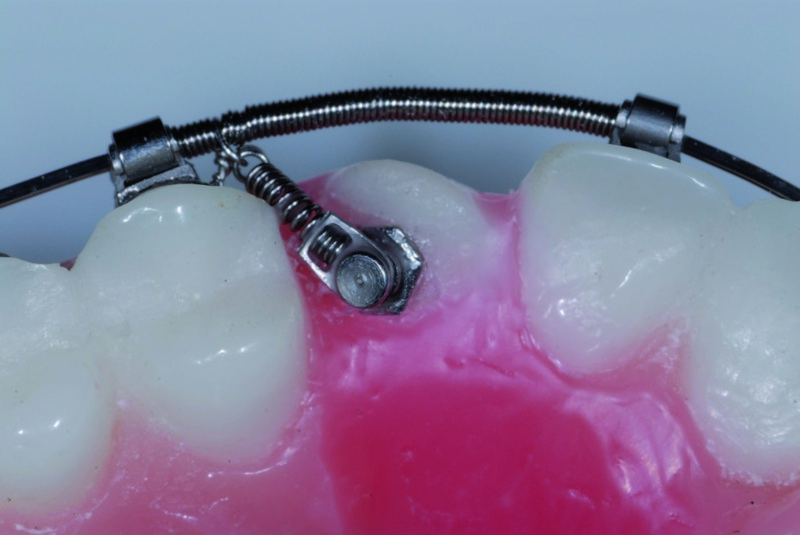 "Choosing the right force minimizes root damages and reduces treatment time!"